Phthisiatrician, Doctor of Medicine (1992), Professor (1994), Academician of the National Academy of Sciences of the RK (2004). Graduated from the Altai State Medical Institute (1976). 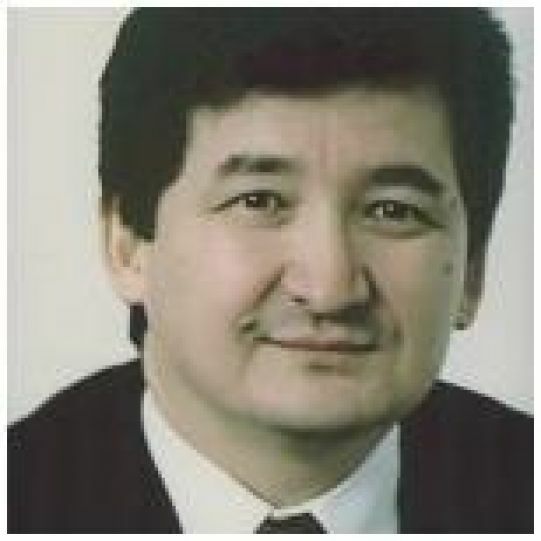 In 1995-2008 — Rector of the Kazakh National Medical University named after S.D. Asfendiyarov. In 2004-2008 — Chairman of Biological and Medical Sciences Section, National Academy of Sciences of the RK. Areas of research: biochemical basis of pathologic processes in connective tissue of lungs of tuberculosis patients, some genetic and molecular aspects of steadiness of Mycobacterium tuberculosis. Most significant scientific achievements: examined biochemical basis of pathologic processes in connective tissue of lungs of tuberculosis patients, investigated a number of genetic and molecular aspects of steadiness of Mycobacterium tuberculosis in Kazakhstan, detected a number of pathogenetic mechanisms of lung destruction and objective laws of its regeneration in tuberculosis, studied immune and biochemical aspects of organism’s protection in mycobacterial infection. Author of more than 230 scientific papers, including 11 monographs, 2 tutorials, 2-volume atlas “Differential diagnostics of pulmonary tuberculosis”, Russian-Kazakh and English-Kazakh medical dictionaries. Awarded the Order “Kurmet” and medals. Awarded for excellence in health (2000), honored worker of education (2003).